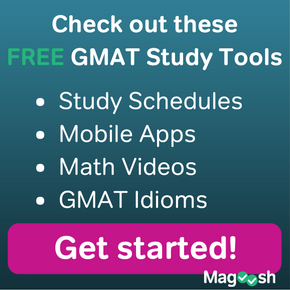 First, a few practice GMAT Critical Reasoning questions of this genre. 1) Homeowner Representative: Statistics show that burglar often target houses that appear unoccupied. Therefore, when home owners away from their homes for several days, we recommend that they leave lights on, to give the impression that the house is occupied. Crime Expert: The same lights continuously on all night long with no change give a potential burglar a clear signal that the house is unoccupied. The Crime Expert uses which of the following techniques in responding to the Homeowner Representative? 2) Marijuana advocate: If marijuana were legalized in this state, the state could start assessing tax on the drug, increasing state revenues. Since sales would be legal, the criminal culture supporting the drug would vanish; as crimes ceased, the state would save money on fighting crime. Overall, the state has a tremendous amount to gain by making the drug legal. Attorney General: Studies of legalizing previously illegal drugs in other countries suggests that criminals controlling the business will not be eager either to sacrifice their profits or to play by the rules. Moreover, diverting money from crime-fighting after such legalization gives those criminals more free rein. The Attorney General uses which of the following techniques in responding to the marijuana advocate? 3) Mayor: the commuters from the nearby suburb of Coldstream perennially complain of a difficult commute to our downtown region. To address these concerns, we should install high-speed toll collector on the interstate between here and Coldstream, thus relieving any traffic snarls caused by the hand-operated toll booths. Civil engineer: Over 95% of commuters from Coldstream take local roads, not the interstate, to our downtown region. The civil engineer uses which of the following techniques in responding to the mayor? 4) Marketing chief: The aggressive sales campaign of Product J has made it the most popular product in the sector. 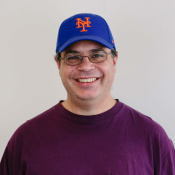 Every individual move we made in that campaign was wildly successful, and sales of the product continuously rose. If we mount a similar style sales campaign with Product S, we are likely to vault this into popularity in its own sector, with a similarly robust sales trajectory. Consultant: The popularity of Product J preceded the sales campaign and was responsible for it. The consultant uses which of the following techniques in responding to the marketing chief? Explanations for these questions will follow this article. One kind of question that the GMAT Critical Reasoning will ask are Structure questions: that is, questions that ask less about the details of the issue itself and more about the formal logical organization of the argument. These questions are of one of two possible types: (a) boldface structure questions, discussed in another post; and (b) dialogue structure questions, explored here. In a typical dialogue question, Party A presents some sort of position or argument, and then almost always, Party B disagrees with Party B. Often, Party B employs one of the classic strategies for weakening an argument. Toward this end, it’s very important to understand Party A’s original argument — what’s the evidence? what’s the conclusion? what’s the assumption? what’s the scope? 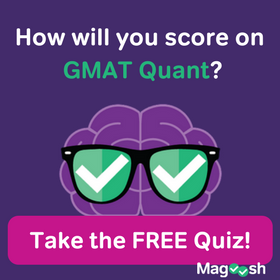 On these questions, as on many GMAT CR questions, it’s important to anticipate the answer in your own words before you get involved in reading the five answer choices. These practice questions above will give you some sense of the variety of ways in which Party B can respond to Party A. You are not likely to see many CR questions like this on the GMAT, but if you are ambitious about performing well on the GMAT Verbal section, it’s good to master these. If you would like to share anything or ask a question, please let us know in the comments section. 1) The homeowner representative recommends leaving the lights of an empty house on as way to prevent crime. The crime expert points out that leaving the lights on like this will invite crime. The credited answer is (B). Giving potential criminal information about who is on vacation would be an unintended and undesirable effect of the homeowner representative’s recommendation. The homeowner representative explicitly states that he thinks keeping lights on will make would-be burglars assume someone is home, so that’s not a “unstated” assumption. This is why (A) is incorrect. What the crime expert is pointing out may be an interpretation or an argument, but it’s not really evidence. Evidence would be some unambiguously agreed upon fact. This is why (C) is incorrect. In this question, leaving the lights on causes various interpretations; clearly, the interpretations of would-be burglars don’t cause the lights to go on. This is why (D) is incorrect. The crime expert does not agree that the homeowner representative’s conclusion is true. This is why (E) is incorrect. 2) The AG points out data from other countries, suggesting that things will not as rosy as the marijuana advocate suggests. The credited answer is (E). The most important point is that what the AG offers does not constitute direct proof by any means, only an analogy to similar situations in other countries. The AG doesn’t deny that there might be advantages to legalizing marijuana, but merely points out a host of problems what would also arise. Choice (A) is too strong: what the AG offers is data from other countries. The way things have played out in other countries may or may not be the same as the way it will play out in the state in question. It’s a suggestion, not a clear demonstration of anything. The AG introduces new perspectives, new information. The AG doesn’t directly attack the structure of the marijuana advocate’s argument. That’s why (B) is incorrect. In both arguments, legalizing marijuana causes all the other social effects — obviously none of them cause marijuana to become legal! That’s why (C) is incorrect. Similar to (D) — the AG adds new info, rather than attacking anything about the structure of the marijuana advocate’s argument. That’s why (D) is incorrect. 3) The mayor suggesting a plan, assuming that most commuters from Coldstream take the interstate. The civil engineer cites data demonstrating that this is not true. The credited answer is (C) — what the civil engineer cites is evidence, and it contradicts an assumption of the mayor’s argument. The civil engineer cites new data: that is, she adds something new to the argument. She doesn’t criticize anything about the structure of the mayor’s argument. That’s why (A) is incorrect. Choice (B) is intriguing: if this were correct, it would imply that the civil engineer agreed with the mayor in theory, and was disagreeing about the way something theoretical would play out in practice. That’s simply not the case in this question. The civil engineer is not making any analogy whatsoever: she is citing cold, hard data! That’s why (D) is incorrect. The mayor wants to solve a problem, and the civil engineer simply points out data that suggests that the mayor’s solution won’t solve the problem. The current problem remains unsolved, but no new bad thing is predicted. That’s why (E) is incorrect. 4) The marketing chief believes the aggressive sales campaign caused Product J’s popularity, and wants to cause the same kind of popularity for Product S. The consultant points out the popularity of Product J came first and, in some sense, caused the sales campaign. Thus, the consultant is suggesting that what is cause and what is effect is different than what the marketing chief suggested. That’s why (A) is the credited answer. It’s not clear that what the consultant says is a measured data (i.e. evidence) or just a perspective or opinion. Therefore, it’s not clearer whether we can call it evidence. Because this point is in doubt, we have to reject both choices (B) and (D). The consultant does not agree with the marketing chief’s premises, so she is not suggesting that these same premises lead to anything else. That’s why choice (C) is incorrect. The consultant definitely weakens the marketing chief’s argument, so choice (E) cannot possibly be correct. 1. evidence: hard facts, numbers which can not be disputed. I would be happy if you could give me some more explanation to queston 1 choice D.
Also if the second peson is arguing with the first person, thendoess it mean that he would completly disagree with the arguments of the first person. I am very glad you found the distinctions in this blog helpful. 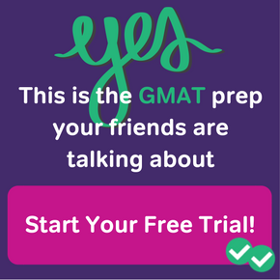 First, as a general point, I would say — if, in a GMAT CR argument, person P speaks first, and person Q responds to P, then it might be total disagreement, or it might be that one argues for the rule and the other for the exception to the rule, or they may have the same assumption but differ on evidence, or they may share the same evidence and disagree on assumption, etc. etc. etc. The variations are endless. As for 1(D) — distinctions of cause vs. effect are tricky. The Homeowner Representative’s argument in #1 says, simplistically, (leaving lights on) causes (no burglaries). Symbolically, the HR is saying (S causes T). The crime expert does not respond that (T causes S), which would be a true reversal of cause & effect, but rather responds (S causes the opposite of T). The item S, leaving the lights on, is still a cause in both cases, and leads to different results, but neither of them is questioning that as a cause. That’s why (D) is wrong.